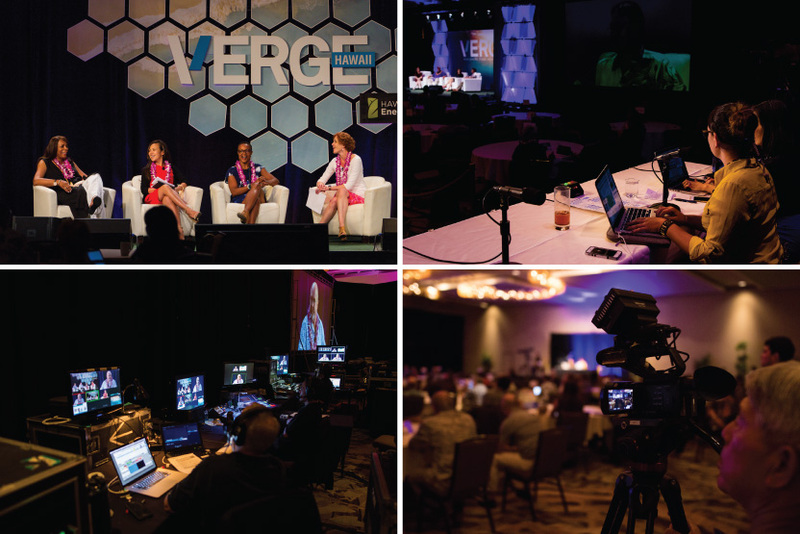 Register for VERGE Virtual to gain full access to the archived livestream of all VERGE Hawaii mainstage sessions, as well as exclusive interviews between speakers and GreenBiz Sidebar hosts — all for free. Setting the stage for Hawaii's third annual VERGE conference. As one of the cultural advisors involved with the Blue Planet Summit ten years ago — which worked in parallel with the genesis of the Hawaii Clean Energy Initiative and eventually Governor Ige's 100% renewable electricity mandate — Ramsay Taum takes us back to what helped catalyze a paradigm shift in 2008 and what lessons can be learned as Hawaii's energy and climate stakeholders take action today. Revisiting the relevance of a world view based on respect for this planet and future generations in an age that continues to revere and depend on technology, the indigenous leaders who were involved with Hawaii's initial clean energy and sustainability ambitions "talk story" about what's happened over the past decade and offer their candid recommendations on what still needs to change. Internationally acclaimed poet and storyteller Kealoha is back to perform another special piece for the VERGE Hawaii audience. How can Hawaii set a gold standard that better aligns with its values as well as those around the world? A panel of policymakers and influencers from Hawaii and beyond — including one who has implemented carbon standards in California — will explore the design possibilities, implementation strategies, potential impacts and lessons learned from operating under this expanded paradigm. How do tourism industry stakeholders — hotels, business owners, airlines — define "sustainability" from an economic standpoint? How can leaders advance efficiency and conservation without compromising — even increasing — the experience for travelers? What are the metrics that the industry can align on to demonstrate data-driven progress in reducing greenhouse gas emissions while creating new economic opportunities? The transportation sector has typically made up about 30% of the carbon emissions from society, second to the utility sector. However, in 2016, transportation overtook utilities. This occurred even as cars became more efficient because we have built communities and a transportation sector that force people to travel 2% more per year every year. This increase in travel jeopardizes our ability to de-carbonize the transportation sector. If we electrify the vehicle fleet, then we both push a huge new electricity demand load on the utility sector — and one that is continuing to increase unabated because of our poor development and transportation decisions. As a result, there is an urgency for Hawaii to tackle its transportation demand now. So what are the solutions? Panelists will explore ways to reduce vehicle miles traveled (VMT) via smart growth and transit-oriented development, multi-modal transportation, the role of autonomous and shared vehicles and, of course, vehicle efficiency. For Hawai‘i to achieve its 100% clean energy goal, it cannot rely solely on grid-scale projects, making Distributed Energy Resources and the end-user an important piece of the puzzle. The University of Hawai‘i Community Colleges have launched a comprehensive energy efficiency, renewable energy, and storage project - the largest behind the meter PV + storage project in Hawai‘i. This panel will dive into the unique financial and technical components of this innovative project – from the enabling technologies to the value stacking of benefits – and share some of the important lessons learned and considerations. Speakers will also discuss how the operation of these systems could evolve into participation in utility demand side grid services programs. the islands? What is their role in our journey to 100%? “We Are 100” showcases actions and commitments that support Hawaii’s journey to 100% by various companies, organizations, and individuals across the state. The goal is to demonstrate Hawaii’s leadership, promote and lock-in individual and business action, highlight bright spots, and pull together disparate communities in Hawaii under a common goal. We Are 100 will include unexpected and nontraditional allies in the push for 100% renewable. Each voice will share a clean energy action that they have already taken as well as a “stretch” commitment to accelerate clean energy progress. These are stories of people who don’t just have skin in the game, they have soul in the game. For all of us, 100% renewable isn’t some “policy;” it’s Hawaii’s broadly supported commitment to the globe. We Are 100 shows how we are doing it. Closing plenary thoughts from the organizer and host. And a final update from our partner Sustainable Coastlines Hawaii on the progress our event has made on its zero-waste goal.